BOSTON, Mass. (Jan. 27, 2016)ÛÓReigning Olympic Champions Jenn Suhr and Ashton Eaton, whose decathlon gold medal gives him the unofficial title of “World’s Greatest Athlete,” lead the latest exciting lineup additions just confirmed for the 2016 New Balance Indoor Grand Prix on Feb. 14, organizers have announced. 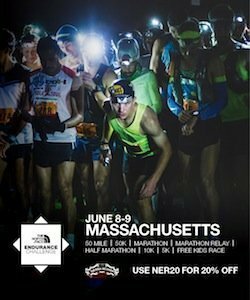 They will be joined by Olympic silver medalist Nick Willis, IAAF World Championships silver medalists Brianne Theisen-Eaton and Jenna Prandini, and seven-time NCAA Champion Abbey D’Agostino, who competed for Masconomet Regional High near Boston and now runs for the New Balance Boston team. Tickets are on sale at www.nbindoorgrandprix.com or by calling 1-877-849-8722. The New Balance Indoor Grand Prix, traditionally held on a Saturday, moves this year to a Sunday. Beginning at 3:15 p.m. on Feb. 14 at the Reggie Lewis Track and Athletic Center at Roxbury Community College, it is the only U.S. event on the new IAAF World Indoor Tour. The four international events lead up to the IAAF World Indoor Championships March 17-20 in Portland, OR, the first time the world meet has been held in this country since 1987. Jenn Suhr, the 2012 Olympic gold medalist in the pole vault, will be competing for at least the 14th time in her career at the Reggie Lewis Center, where in 2005 she won the first of her 16 national titles. The reigning World Indoor Record-holder, the 33-year-old Suhr already this season has jumped a world-leading 4.91 meters/16 feet, 1.25 inches. Ashton Eaton, 28, the 2012 Olympic gold medalist in the decathlon, broke his own World Record last summer in defending his title as IAAF World Champion. Also a two-time World Indoor Champion in the heptathlon, Eaton this year can join Daley Thompson and Bob Mathias as the only men to repeat as Olympic Champion in the decathlon. Brianne Theisen-Eaton, a two-time IAAF World Championships silver medalist in the heptathlon, will join her husband in Boston, where Eaton will contest the pole vault and 60 meters while Theisen-Eaton, 27, competes in the long jump. Nick Willis, who won a silver medal at 1500 meters at the 2008 Olympics, is the New Zealand National Record-holder in the indoor mile (3:51.46) as well at 1500 meters indoors and outdoors and 3000 meters outdoors. The popular 32-year-old will be seeking his third-consecutive victory here in the Mile, and his fifth going back to 2009. Jenna Prandini, 23, is a three-time NCAA Champion sprinter and long jumper who became the 2015 National Champion at 200 meters just weeks after winning the NCAA title at 100 meters. She went on last summer to win a silver medal as a member of the 4×100-meter relay at the IAAF World Championships. Abbey D’Agostino, 23, won seven NCAA titles while competing for Dartmouth University to become the most-decorated athlete in school history by the time she graduated in 2014. The 13-time All-American will be competing in front of a hometown crowd at the New Balance Indoor Grand Prix for the first time. Now in its 21st year, the New Balance Indoor Grand Prix has played host to eight World Records and 13 American Records and will be held on Sunday, Feb. 14, beginning at 3:15 p.m.